With elections to Scotland's devolved parliament coming up next year, it looks almost certain that the left-wing nationalist Scottish National Party, which has been governing since 2007, will win a comfortable victory. Polling done in recent months suggests that, off their near sweep of Scotland's Westminster seats earlier this year, the SNP will win a comfortable victory, under the leadership of First Minister Nicola Sturgeon. However, unlike in Westminster, their gains will be limited somewhat, because of Scotland's usage of a mixed-member proportional representation system. Even if the SNP wins all of Scotland's constituencies, or makes a near sweep, the mechanism of the mixed-member system (described below) will keep their vote shares aligned with their seat shares. There is an option, though, for the SNP to make use of a tactic that has been used before in MMP and compensatory mixed-member systems to avoid this, called decoy lists. How does Scotland's electoral system work? Initial plans for a Scottish parliament were put forward by the Wilson-Callaghan governments in 1978, following an inquiry triggered by a strong SNP performance in the 1974 election (the October one). Exact details of the electoral system are unclear, as I don't seem to be able to find the specific legislation. It seems that some variation of the plurality system was proposed. This would have likely led to a Labour-dominated assembly, and this may have been one of the reasons that the proposal was rejected in a 1979 referendum (while 51.62% of voters voted Yes, this only represented 32.8% of the electorate, substantially short of the 40% of the electorate requirement). Shortly after this referendum, a general election resulted in a Conservative government, led by Margaret Thatcher, take office. The Conservatives had little interest in devolution, and as a result it stayed off the agenda until 1997. In this year, a Labour government, led by Tony Blair, took office. Labour were committed to devolution. A referendum took place in 1997, which resulted in a 74-26 vote in favour of a Scottish assembly, and a 63-37 vote in favour of said assembly having tax-varying powers. In order to get broad support for an assembly from the SNP and Liberal Democrats, the Blair government proposed a proportional system. Much discussion was had on the issue of this system, but the eventual result was a mixed-member proportional system that was later adopted by London and Wales. The system works in this manner. Voters have two votes; one for single-member districts and one for regional party-lists. The single-member districts are simple: the candidate with the most votes wins. In the regions (of which there are currently eight, each electing seven members), all the party-list votes are counted up. The D'Hondt system is applied in these regions; however, the first divisor in the sequence is increased by the number of single-member districts won by the party. For example, if Labour wins 5 district seats and 50,000 votes, and the SNP wins 1 district seat and 40,000, Labour's vote is divided by 6, meaning that Labour's vote in the party list contest is 8,333. The SNP's vote in the party list contest is 20,000. Party list seats are then distributed using D'Hondt. This system serves to reduce the disproportionality that happens with single-member plurality. For example, at the first election to the parliament, Labour won 53 constituency seats off 38.9% of the vote, but this strong result in the districts meant that they only won three seats in the lists, thus making the overall result relatively proportional (off 33% of the list vote, Labour won 43% of the seats). What is a decoy list? A decoy list is a tactic used under a mixed-member proportional (or compensatory) system in order to turn it into a mixed-member majoritarian system. The basic idea is that you run your single-member district candidates as members of a different party to your district candidates. This means that you can avoid the penalties that these sort of electoral systems levy on parties that win big in the districts. An example of this took place in Italy's 2001 election. At this time, the lower house of Italy used a mixed-member system called the scorporo. The voting process was similar to Scotland, except the compensatory mechanism was somewhat different; the list the winning candidate district was affilated to had its vote reduced by the votes cast for the second place candidate in the district plus one. If a candidate affiliated to the list of Party X wins 10,000 votes, and the runner-up gets 5,000 votes, Party X's list votes are deducted by 5,001. A key element of this system is that parties are permitted to form coalitions, as parties need to win 4% of the nationwide vote to get party-list seats. As a result, a district candidate can display themselves as a candidate of a national coalition on the ballot paper, while being affiliated to a list within that coalition. All party lists were on the national ballot paper. 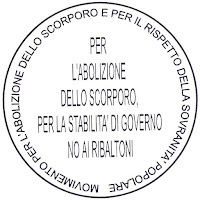 In the 2001 election, the centre-right coalition, Casa della Liberta (House of Freedoms), led by Silvio Berlusconi, affiliated many of their district candidates to a list called Abolizone Scorporo (Abolish Scorporo). This list used a dull symbol and was not publicised. Single-member district candidates affiliated to it used the Casa della Liberta symbol. Its only purpose was to soak up the vote reductions caused by the scorporo*. 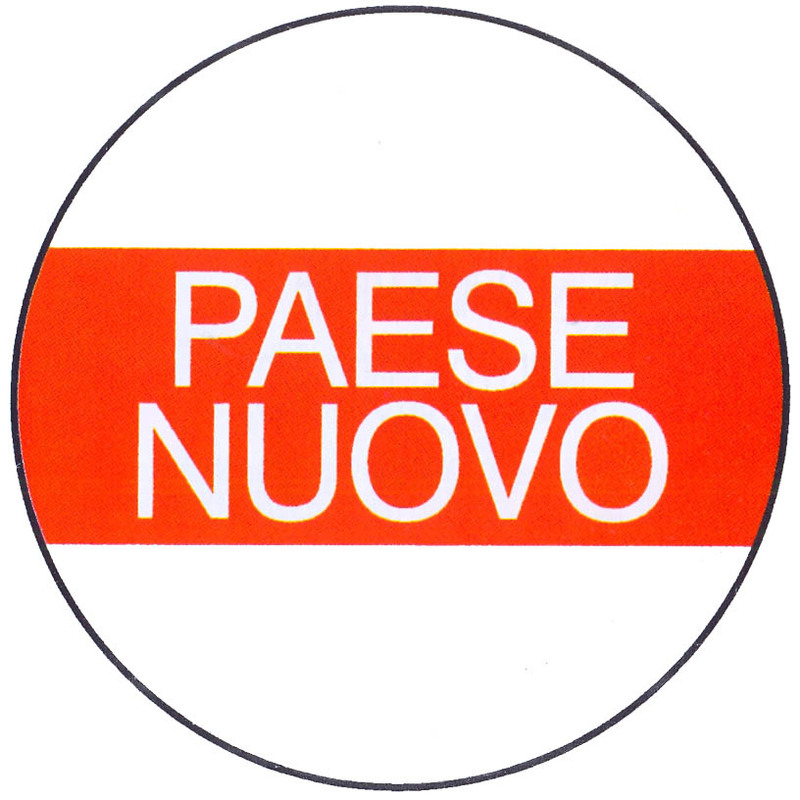 The centre-left list retaliated by running their own similar list, called Paese Nuovo (New Country). 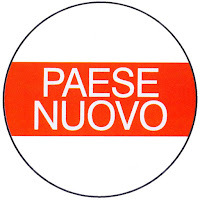 The two lists actually received some votes; 0.09% for Paese Nuovo and 0.07% for Abolizone Scorporo. Given that statistics are vague and calculations are difficult, it's a bit hard to measure the exact impact of this tactic. However, the Gallagher index of disproportionality (measured out of 100, based on list votes) spiked from 6.91 in 1996 to 10.22. It's also notable that the Communist Refoundation Party got only 11 seats out of 630, for 5% of the vote. They relied entirely on list seats for their representation in parliament. How would it work in Scotland? Let's look at an example. The below table shows the result of a hypothetical election in a region. The SNP has won all 9 single-member district seats, off just 55,000 (33.5% of the vote). With what is clearly an unlucky vote distribution, Labour wins no seats and 27.4% of the vote. The Conservatives (they have the cross logo) win 21.3%, the Lib Dems win 12.2%, and the Greens win 5.5%. If the SNP ran with their single-member district candidates affiliated to the list, they would win no list seats. Three seats would go to Labour and to the Conservatives, and one to the Liberal Democrats. This would mean that the severe disproportionality in the single-member districts would be compensated for as much as possible. However, let's say the SNP did not run a party list attached to their district candidates. Instead, they ran a nominally independent list, called, say, the National Scottish Party, that all SNP voters voted for. As you can see, this would mean that the SNP's landslide in the district seats would not reduce their share of the list seats. They would win three of these, bringing their total up to 75% of the total seats in the region. What if the SNP had tried this strategy in the last election? If we assume that all SNP voters would vote for the decoy list, the results would be as below. As you can see, it would be a quite dramatic gain for the SNP. They would go from 69 to 96 MSPs, three-quarters of the parliament for 44% of the vote. This is not necessarily an accurate reflection, though. Some voters might not recognise the SNP's decoy, or, more importantly, the other parties could run decoy lists of their own as a defensive measure. This would effectively turn Scotland's electoral system into a pure mixed-member majoritarian system, with complete separation of both tiers. Given the small size of the regional districts, this would lead to a relatively disproportional electoral system (average magnitude would be 1.6). So, if you are Scottish First Minister Nicola Sturgeon, and you are reading this blog, you are probably thinking 'Great! But how do I put up a decoy list? What do I call it?'. Well, Ms Sturgeon, this is where you have to use your imagination. Now, there are a wide variety of ways in which this particular nut can be cracked. However, my best idea is one that takes advantage of Nicola Sturgeon's personal popularity and recognition. First, Ms Sturgeon should resign her membership of the SNP, and form a new party, called, say, 'Nicola Sturgeon for Scotland' or 'Nicola Sturgeon Team'. As there are no formal membership requirements, and it could not be argued that the label was intended to confuse the SNP and the new party, as Sturgeon would not be an SNP member. This party could run in the party-list section, and it could be mentioned in SNP literature as an encouraged second vote. Now, this article is not to present a strategy only for the SNP, and this strategy could also be used by the Scottish Conservatives, for example, who have strong local appeal in the South of Scotland. I'm not sure what sort of name recognition the Scottish Conservatives have, but had they registered their candidates in the South as independents, they would have won an extra three seats (assuming no SNP decoy and all Conservative voters voting for the independents). The SNP trying a trick like this would not go unnoticed in Westminster, which formally controls the election legislation for Scotland. If the Conservative government had significant doubts about the SNP's actions, and if the Scottish Conservatives were substantially hurt by decoys, there is the possibility of Westminster legislating to make decoy lists useless. One way which they could do this would be by introducing one-vote MMP. Under this system, voters would vote only in the single-member districts, and these votes would be used to calculate the list totals, replacing the list votes in the previous system. If SNP candidates recieve 5000 votes in a region, the SNP list is credited with 5000 votes. As it is impossible to separate single-member district and list votes, this would blunt the SNP's tactic. It's unclear what impact such a system would have on support for the parties. With one exception, no party has a marked difference between their list and district votes. The key exception, of course, is the Scottish Greens. They have adopted a policy of running lists only, in the hope of picking up list votes from left-leaning voters who, while recognising that the Greens cannot win a district seat and therefore not voting Green in the districts, are willing to vote Green in the lists. Under a single-vote system, the Greens would have a much harder time attracting voters. Another option would be dumping the single-member districts entirely, and having a party-list system only. This option would likely prove controversial, as this has only been used in the European elections, and if it were introduced, it would probably have to have some form of mechanism to open up the lists, and give voters personal control over the elected members. Perhaps, too, the single transferable vote could be used. Scotland has experience with the single transferable vote, as it has been used in local elections since 2007. While this sounds like a good idea, the issue remains that Scotland has lots of land that is virtually empty (and for good reason). This would mean that some STV constituencies would be quite large. This post is not intended to endorse the Scottish National Party. Indeed, this is a strategy that could be used by all of Scotland's parties. The SNP, however, is in an especially strong position to exploit this particular loophole. I would suggest that it would be advisable for Westminster to close it, in some way, to ensure Scotland's parliament continues with its original intention of proportional representation. *The Abolizone Scorporo list was used again in the 2004 European election. 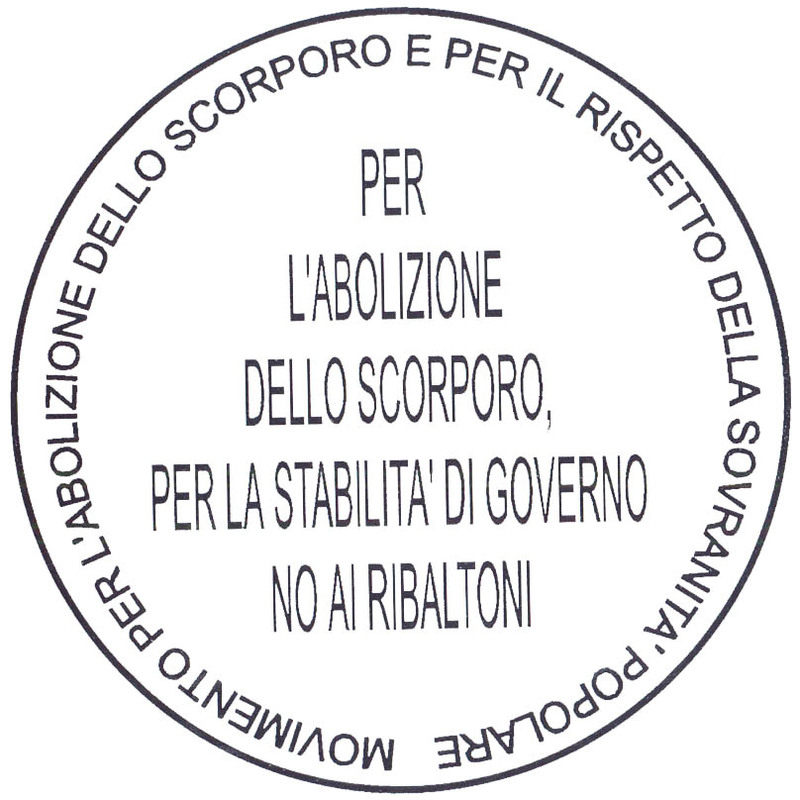 In an attempt to reduce the vote for the Green party, the Abolizone Scorporo symbol was placed in the middle of the symbol for the 'Green-Greens', a right-wing Green party. Under Italian electoral law, this means the list is entitled to get on the ballot automatically. One would think such a tactic would constitute electoral fraud. That depends on your definition of 'electoral fraud'. The SNP, or any other party pursuing this tactic, would claim that their decoy candidates were independent, but supported by the party. The tactic would be perfectly legal.